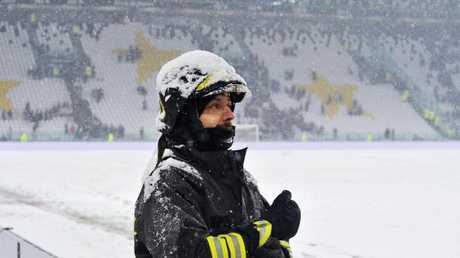 SUNDAY'S Serie A game between champions Juventus and Atalanta in Turin was postponed because of blizzard-like conditions in northern Italy. 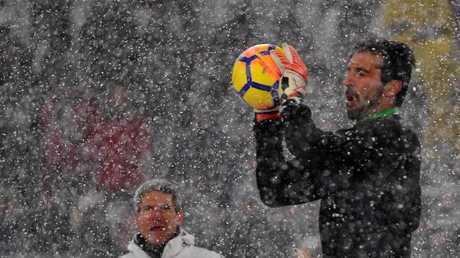 Snow covered the pitch at Allianz Stadium with referee Maurizio Mariani and captains Gianluigi Buffon and Rafael Toloi deciding to call off the game. Six-time defending champions Juventus are a point behind leaders Napoli, who play Cagliari in Sardinia on Monday. 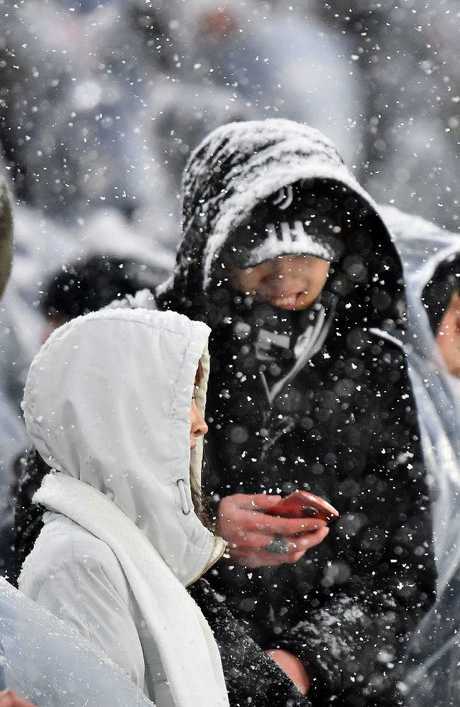 Up to five centimetres of snow fell in 55 minutes, an hour before the scheduled 1700GMT kickoff. 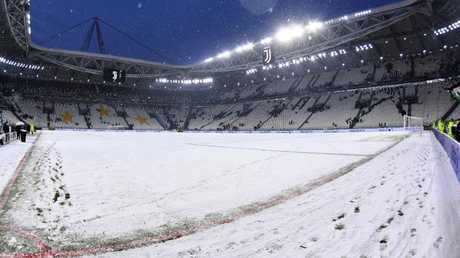 The snow blanketed pitch of the Allianz Stadium in Turin, Italy. The covers were removed from the pitch two hours before the game to allow for routine tests on goal-line technology and the video assistant referee (VAR). Both sides continued their warm-ups despite the adverse conditions and the game had looked set to start but following a final survey it was decided it could proceed in sub-zero temperatures. Juventus said another date would be announced shortly, with the team's crowded calendar making Wednesday, March 14 a possibility. Juventus play Atalanta in the Italian Cup semi-final, return leg next Wednesday in the Allianz Stadium, before travelling to Rome for next weekend's Serie A game against Lazio. Massimiliano Allegri's side then travel to Wembley on March 7 having been held 2-2 by Spurs in the last 16 first leg clash in Turin last week. AC Milan's youth academy graduates Patrick Cutrone and Davide Calabria scored in a convincing 2-0 win at Roma that puts the once crisis-ridden Rossoneri within striking distance of the Italian Serie A top four. 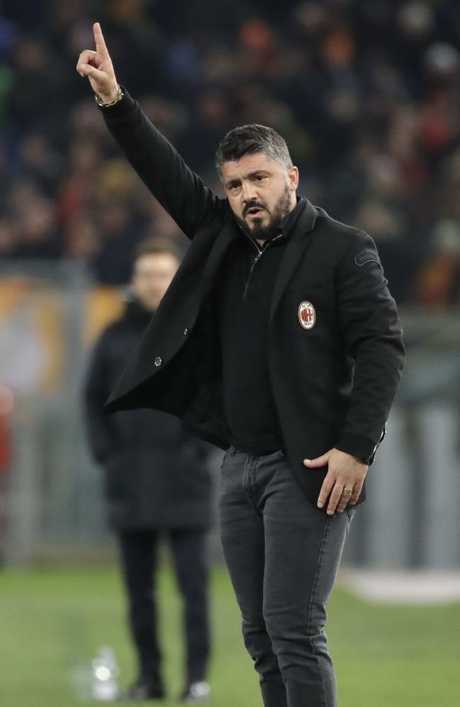 With coach Gennaro Gattuso making a big impact, Milan extended their unbeaten streak to eight matches in the league and 12 in all competitions. "We are really united now and I think the victory is down to the group," Cutrone said. "We've proved we are a fine team unit." Milan hadn't won at Roma since Zlatan Ibrahimovic scored a brace in a 3-2 victory in October 2011. Milan moved level with sixth-placed Sampdoria, seven points below fourth-placed Inter Milan ahead of next weekend's Derby della Madonnina. The top three finishers in Serie A qualify for the Champions League while the fourth-place finisher enters the last round of playoffs for the lucrative competition. Roma dropped from third to fifth. At a rainy Stadio Olimpico, Cutrone used the side of his heel to redirect in a cross from Suso shortly after the break. Calabria then chipped in after Nikola Kalinic threaded a pass through Roma's porous offside trap for his first career Serie A goal. 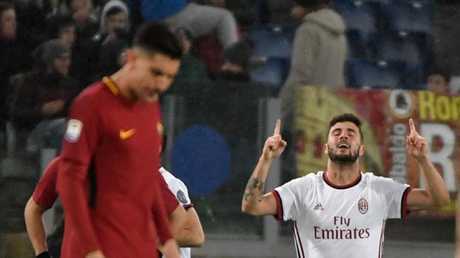 "The difference was in the opening Milan goal," Roma coach Eusebio Di Francesco said. "Suso's pass showed quality and Cutrone showed determination to get on the end of it. That's what we were lacking." Sergej Milinkovic-Savic showed just why some of Europe's top clubs are after him with two goals as Lazio strolled to a 3-0 win at Sassuolo. The league's leading scorer Ciro Immobile netted a penalty as Lazio moved up to third. "Milinkovic is a really talented player," Lazio coach Simone Inzaghi said after the victory. "He's still very young and has so much desire to improve himself, I think he has a great future ahead of him. Spal boosted their hopes of survival with a 3-2 win in a relegation battle at Crotone. Spal remained 18th in the 20-team league, but moved to within a point of Crotone, who occupy the last position of safety. Hellas Verona gave themselves hope of avoiding the drop with a 2-1 win over Torino, to move within two points of Crotone. Fiorentina beat Chievo Verona 1-0 and Matias Silvestre scored at both ends as his Sampdoria side beat Udinese 2-1.